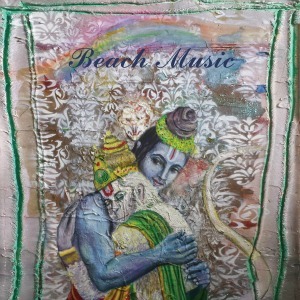 Philadelphia’s Alex G (Giannascoli) has been quietly building a bedroom empire, hooking up with Domino Records for his seventh LP, Beach Music. Following up last year’s breakthrough DSU, he tinkered with his recording modus operandi, working around a mad touring schedule, and stretching out the process. While his woozy, near stream of consciousness tracks traffic hard in feints and left turns that can be off putting to some, Beach Music is manna from heaven for those who’ve drunk the Kool Aid. One can take the noisy in-studio intro as a red herring, or a summation of the story so far. “Bug” fades in and washes away any nascent worries with as complete an encapsulation of his aesthetic as evidenced so far. If you buy into this, the rest of the album unfurls on an arc, throwing up memories of Elliot Smith on “Thorns,” and unleashing a casual tour de force in “Salt.” A beautiful horn arrangement augments “In Love.” Repeated listens reveal the care put into sequencing, forcing a reassessment of the whole, where all the seeming off the cuff choices are revealed as part of one man’s greater plan. By the concluding “Snot,” the anthemic qualities have come into focus, and all becomes clear.